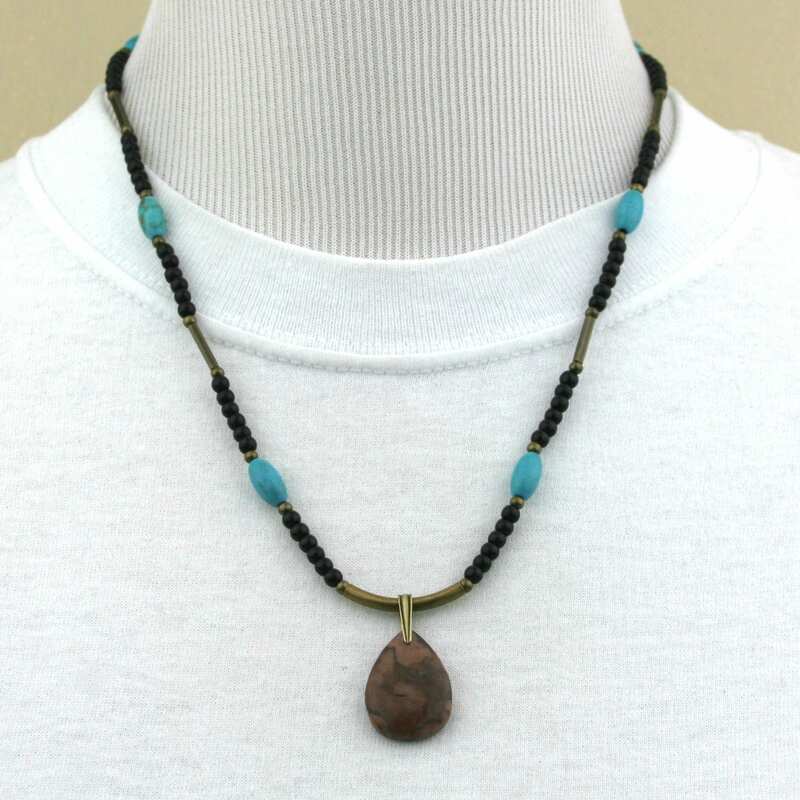 This bronze zebra jasper stone pendant is a 24 mm x 18 mm teardrop with a flat back. 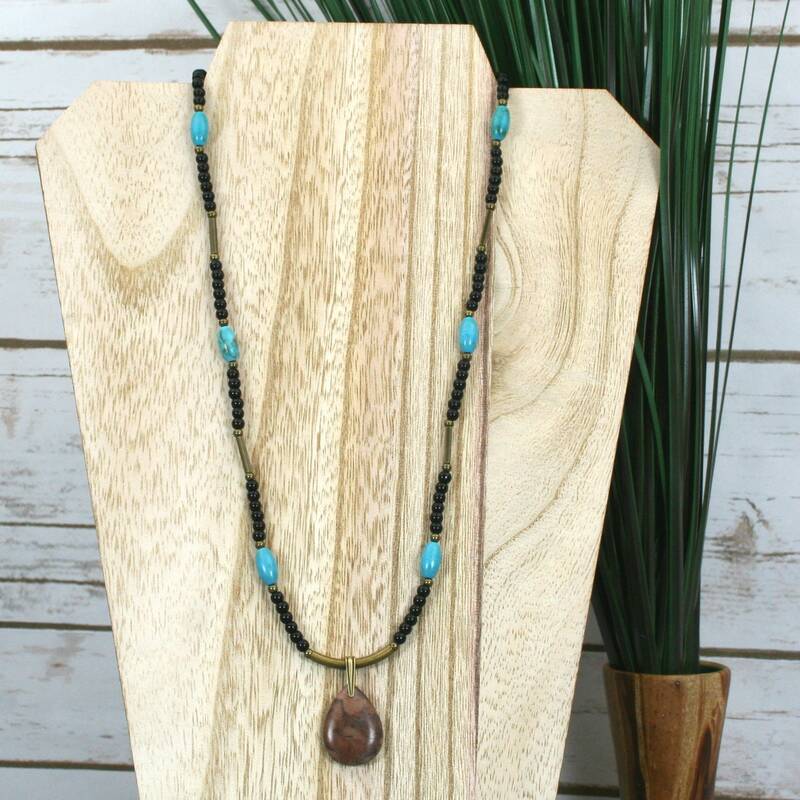 The top drilled stone is fitted with an antiqued brass bail in a simple triangle pattern fitted over a curved tube bead. 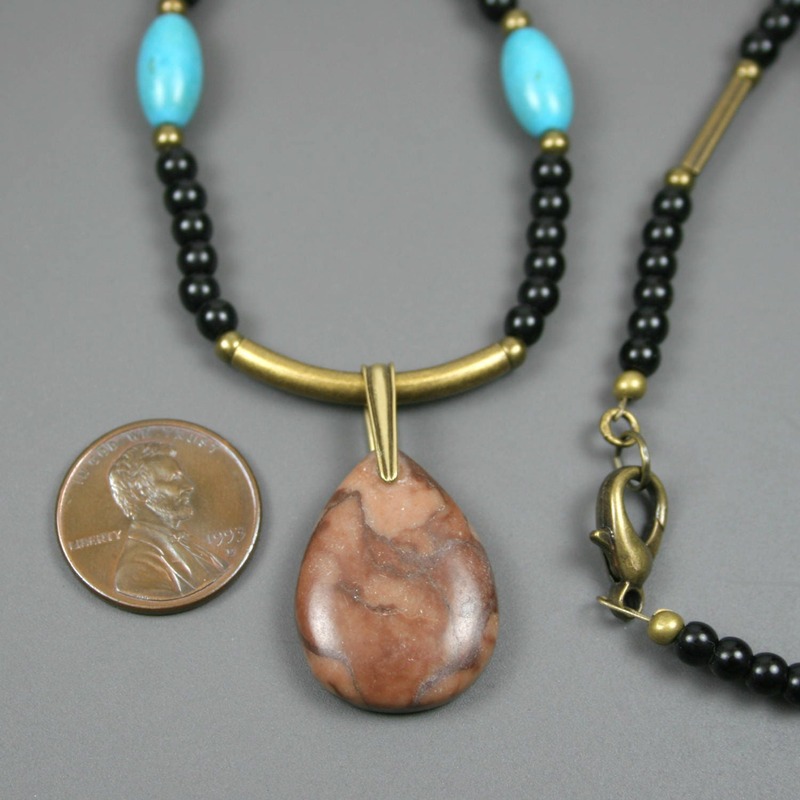 The pendant is connected to a strand of 3 mm round obsidian beads, oval turquoise magnesite beads (12 x 7 mm), and antiqued brass round (3 mm) and square tube beads strung on antiqued brass colored wire. 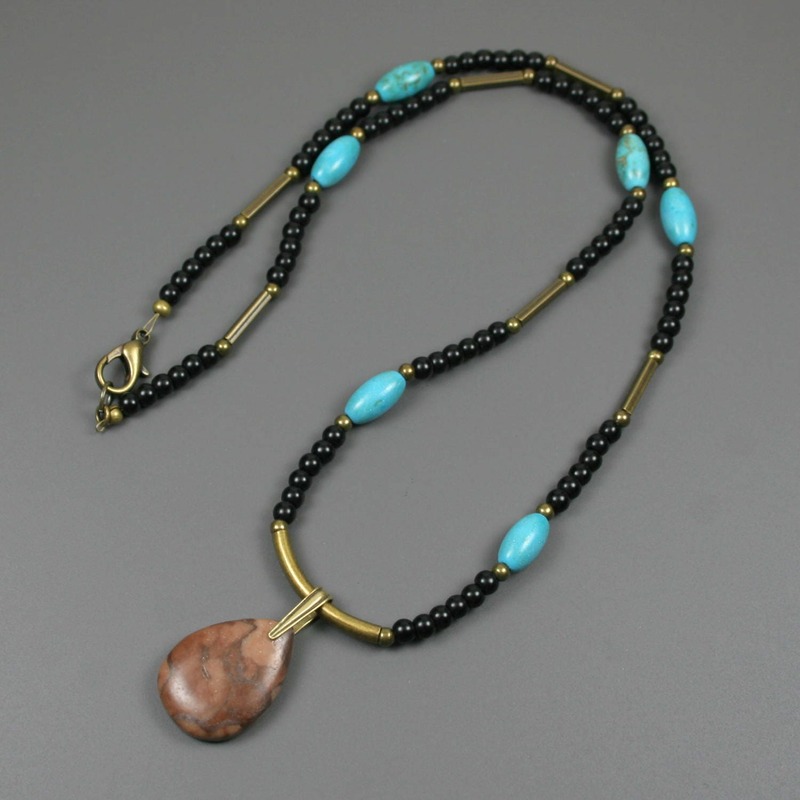 The entire strand is approximately 21.5 inches long and closes with a lobster clasp. Bronze zebra jasper has hints of light pink marbled into rich, chocolaty swirls that look good enough to eat. 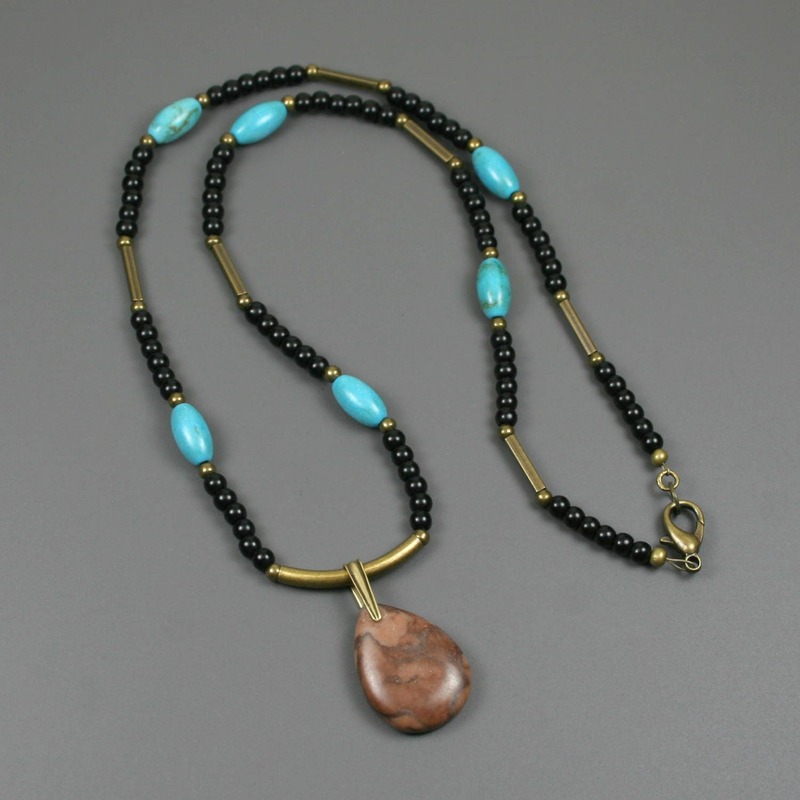 As with all natural materials, the colors and patterning vary from bead to bead to give a rich variety. 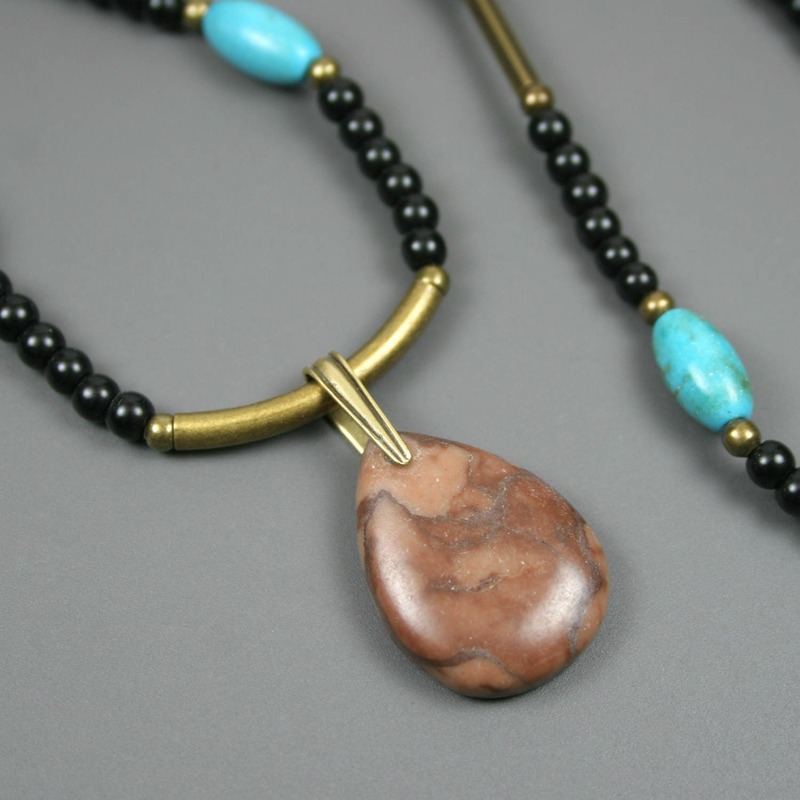 Zebra jasper is known for promoting optimism, joy, and connection to the Earth.